Begur is a charming town located in the Baix Empordà, in the heart of the Costa Brava, between Pals and Palafrugell. Begur is popular with both national and international tourists in summer because it is surrounded by coves that feature typically Mediterranean vegetation and crystal clear waters. While in Begur, you cannot miss visiting Begur Castle and its old town. A walk in the streets of Begur will bring you the peace and tranquility you expect from the summer. Begur is the perfect place to take long walks at dusk or at dawn, where it’s still not too hot. In Begur you can enjoy a great offer of events, especially in summer. On your arrival, we recommend you go to the tourist office of Begur to get informed of all the activities planned during your stay, like outdoor cinema events, concerts, local festivals, besides the great variety in nautical activities which you can practice on its beaches and other activities such as horse riding or cycling. 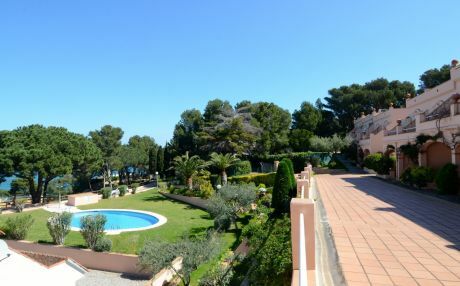 Begur has a wide holiday rentals offer, where you will undoubtedly spend a spectacular vacation. You can also enjoy its landscapes, white houses, tiled streets and its magnificent coves and beaches, as well as its unbeatable gastronomic offer. Not surprisingly, the province of Girona has an immense offer in terms of cuisine. The Celler de Can Roca is located in Girona. The gastronomy of Begur features seafood and fish, vegetables, and all kinds of rice, although you will also find premium quality meat. In Begur there are restaurants for all kinds of palates and pockets: next to the sea, for special occasions, first-class restaurants specialized in rice, family friendly, international food, vegetarian food restaurants, etc. 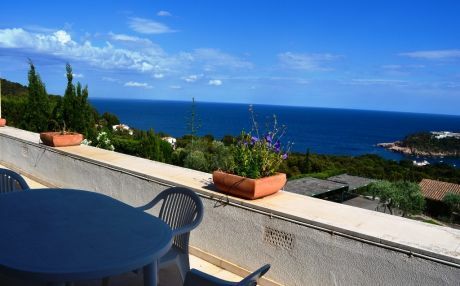 And if you do not like any, you can always cook your own meals in your holiday villa in Begur. Begur is the ideal destination to discover all of the natural features of Costa Brava, as its location is ideal for small excursions and it’s close to the other wonderful fishing villages of the Costa Brava. You cannot miss paying a visit to Palamós, Calella de Palafrugell, Pals, l'Estartit, L'Escala, or the beautiful provincial capital, Girona. Undoubtedly, the main attractions of Begur are its beaches and coves of stunning beauty, which will make you feel you are in the middle of a movie set! Cala de Aiguafreda is one of the most famous coves for its picturesque charm, featuring a small pier that, if you take a picture, will boost your Instagram followers! Also, do not forget to visit Cala de Illa Roja (a nudist beach), Cala sa Tuna, which is not easy to access but totally worth it. And if you are looking for an amazing beach, head to Playa de Aiguablava, which has fine clear sand and crystal clear waters, surrounded by pine trees and featuring lots of amenities. Simply spectacular. Begur is in the center of the Costa Brava, in the Baix Empordà. You can reach Begur by the AP7 motorway, exit 6, towars Begur- Palafrugell if you come from France, or exit 9 if you come from Barcelona. You can also come to Begur on the buses of the Sarfa company, with departures from Barcelona, ​​Girona and Palamós. The nearest airports are Girona, 45 km, and Barcelona, ​​145 km. In Begur there are many chalets and villas, ideal to rent for your summer vacations. In most of them you can enjoy a private or communal swimming pool, according to the type of accommodation that you have chosen for your stay in Begur. They also have all the comforts to spend a great summer vacation, for example, in a centric location, just a short walk from all the amenities of the town like supermarkets, restaurants, bars, and equipped with everything you need. And best of all, it comes out much cheaper than renting a hotel.